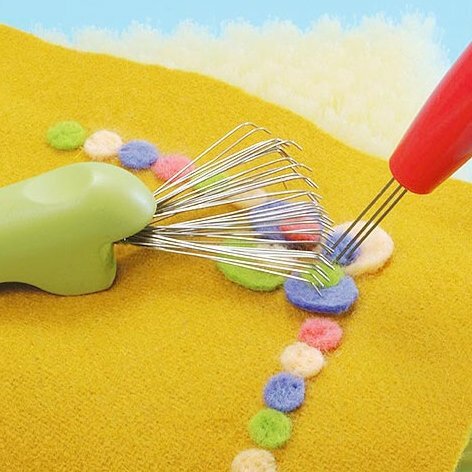 CLAW - the claw is a great holder to help keep your fingers out of the way on small projects. 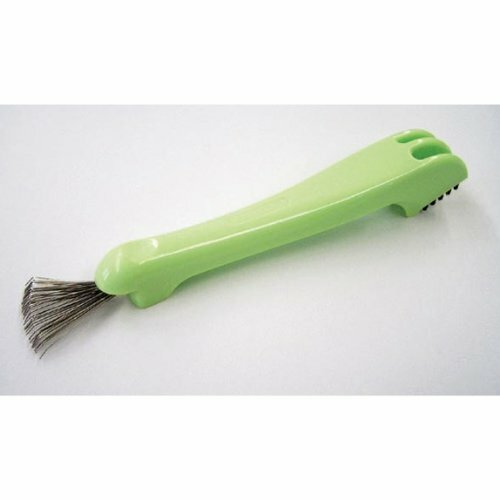 They have a nice surface attention that allows you to apply pressure without getting your fingers too close. Great for flat work. 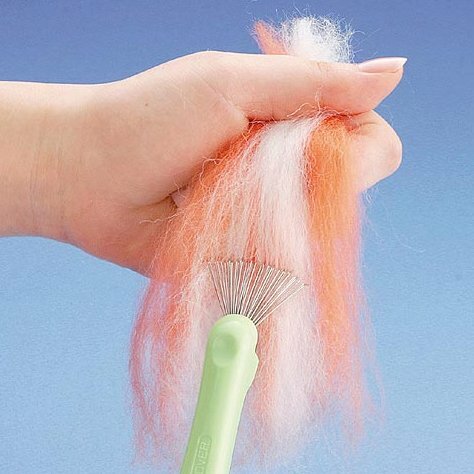 Blending Tool -- blend small amounts of felting wool together, or even separate fibers by raking the claw through them. 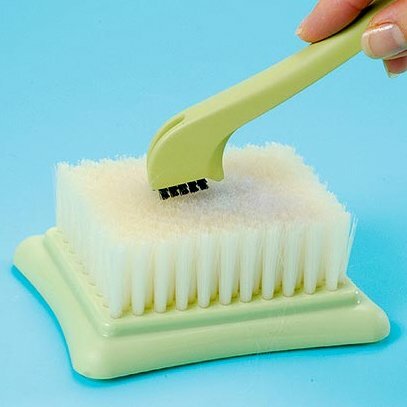 Cleaner - one end has a small brush to help clean your clover brush mat...cool!